A rich, expressive voice soaked in swing and blues. An ability to improvise that’s straight from the heart. Wonderfully expressive, demonstrating soaring confidence. Her intonation and articulation are commanding. Liquid phrasing, luminous tone, a voice of serene beauty and striking veracity. McNulty plays with rhythmic authoritatively: there's not a hesitant note or second-guessed choice to be heard"
"McNulty remains an underappreciated songwriter. The Song That Sings You Here, to name one sterling example, is a circuitous exploration of love's vagaries and its ultimate immutability." 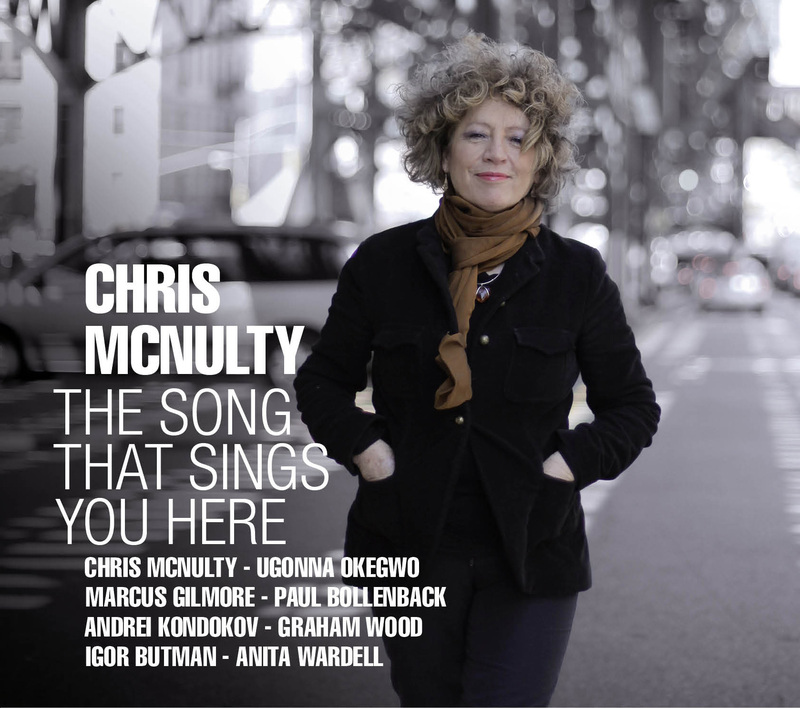 ""The Song That Sings You Here" is a lyrical masterpiece "
"McNulty is a vocalist firmly in command of her instrument, with a rich expressive voice soaked in swing and blues, and an ability to improvise that's straight from the heart." "...Jazz vocalist Chris McNulty interpreted jazz standards by Fats Waller to Burt Bacharach, Harold Allen to Horace Silver ... the arrangements are always lean, but never simple ..."
"The sessions for this album were recorded in just one day, and as a result, it has succeeded in conveying the feel of a live performance by this accomplished singer, with a distinctive jazz voice." "Ms McNulty has one of those mellifluous smokey voices that at times has a dash of Ella or Dinah lurking within."